Connie Stewart doesn't look like a fortune teller or a seer. She doesn't wear strange scarves around her head; drape herself in peculiar ceremonial garb or swing an incense ball to and fro. Quite the opposite. Unhappy and busier than she wanted to be in a rigorous corporate career, Connie embarked on a conscious spiritual journey. It began with learning to nurture her spiritual gifts, first by educating herself to interpret her abundant and prolific dreams. Through this deeply personal process, she began to discover past lives, many of which revealed acute shamanistic abilities. It is precisely this unearthing that led Connie to the belief that the soul survives death. It also led to a "recollection" of her abilities as a healer, and that she has always utilized her mystical gifts in a healing capacity. Later, Connie came to understand that she was also a medium and able to connect with those who have crossed over, both through channeling, as well as trance channeling. In 2004, Connie experienced a near death phenomenon. The road to recovery was arduous, yet, as the months passed, an even higher level of clairvoyant medium ability surfaced. This was yet another reminder that shifting Earth energy offers a profound opportunity to move past lower survival vibrations (where fear, lack and illness reside) into a much higher thriving frequency (where abundance, love and vitality resonate). Feeling uninspired, fatigued, overwhelmed, confused and unwell are but a few of the symptoms reported by many at this time. Connie especially enjoys facilitating release and clearing of outworn beliefs, (lower vibrational) which weigh us down and are frequently the cause of such ailments. These belief systems generally originate in childhood and are often not our own. This frees up a tremendous amount of energy, allowing us to consistently live in higher integrity and a much greater degree of happiness. Connie's highly inspirational and deeply healing work consists of being able to detect the Soul's whispers, sharing messages in a way that are easily understood and absorbed by her clients. "Earnestly wanting to discover your truth (the essence of who you are) is enough to begin the healing process. I firmly believe that when we know better, we do better." 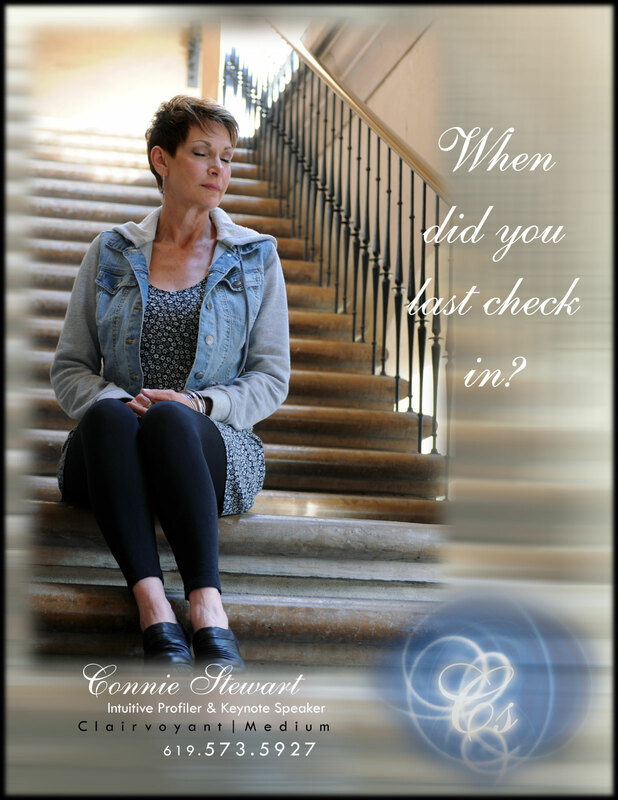 Along with maintaining a private intuitive healing practice, Connie hosted SoulSync Radio, a regularly scheduled live talk show in which she psychically answered questions for studio guests and callers. She is also the author of The Other Side of the Bayou, a stirring account of her profoundly mysterious survival from sexual and physical abuse growing up in the Deep South. Besides inspirational keynote speaking, Connie offers the following: intuitive profiling (aiding authorities - identify and capture; corporate staff evaluation and employee retention), channeling, trance channeling, workshops (including SOUL CODES REVEALED, identifying life purpose), mentoring, chakra recalibration, pet communication, remote viewing and energetic space clearing.